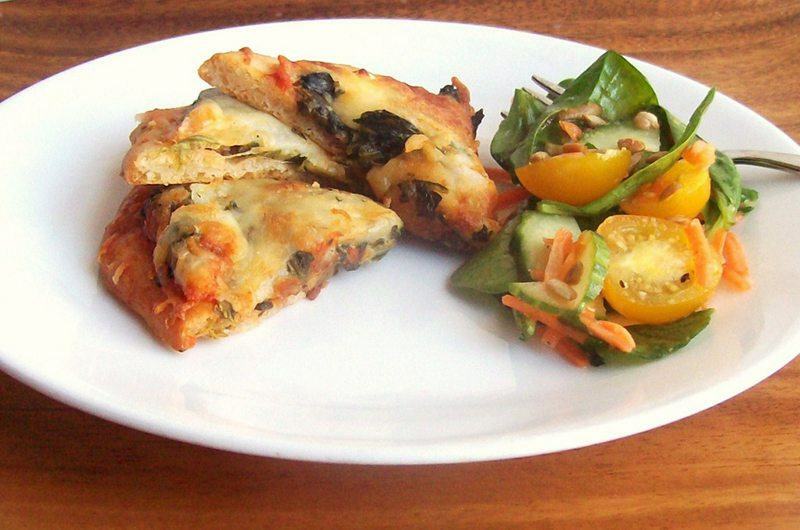 Packed with rosemary, basil and garlic, this savory crust will delight your taste buds. The recipe calls for a blend of white rice flour, potato starch and tapioca flour, which produces a nice consistency that rolls out well. 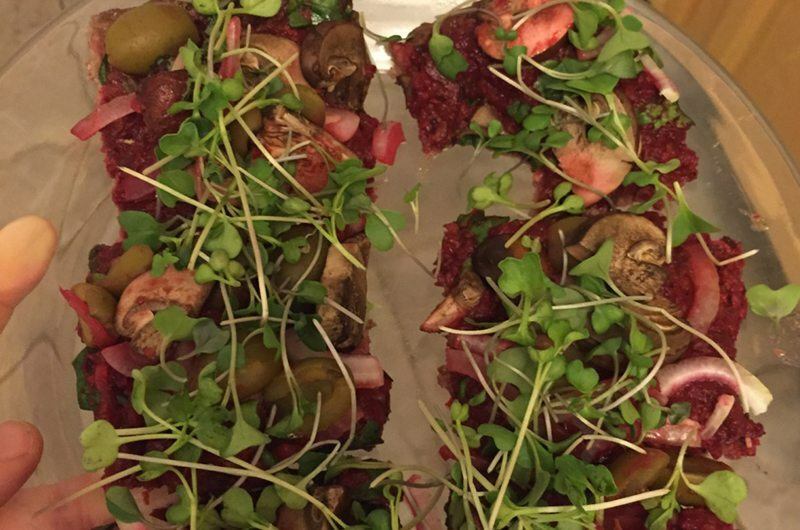 Unsurprisingly, this yummy result is something even your gluten-eating friends can enjoy. Along with dried Italian seasoning, which contains classic herbs like thyme, marjoram and rosemary, this recipe calls for additional flavors including cayenne pepper, onion powder and black pepper. The pungent spices work together with the almond flour and golden flaxseed meal to produce a flavorful crust that's anything but boring. 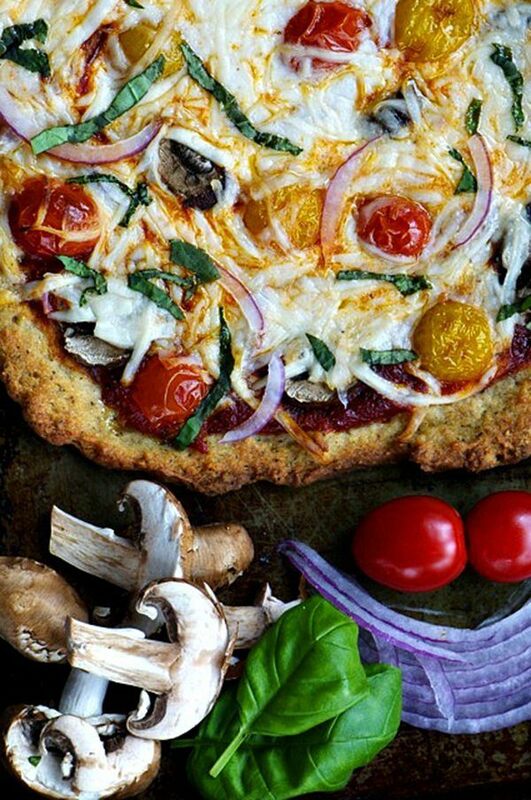 This coconut flour recipe has oregano, basil and garlic added directly into the dough for a crust that tastes good even before you pile on your favorite pizza toppings. Because of the coconut milk, the grain-free dough has a thin consistency, which easily spreads out on lined bakeware so every slice looks marvelous. 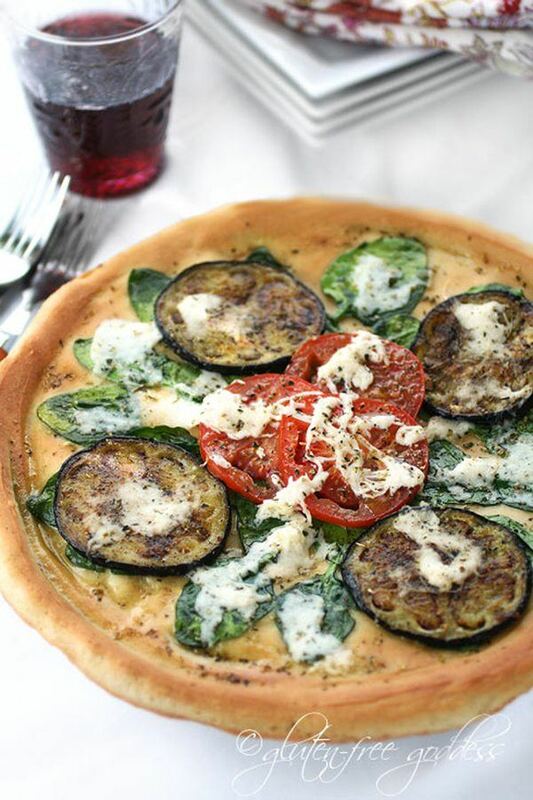 Instead of baking herbs into this vegan crust right away, the recipe calls for an additional step of pan frying already-cooked quinoa with sage, thyme, fennel seeds, turmeric and salt. 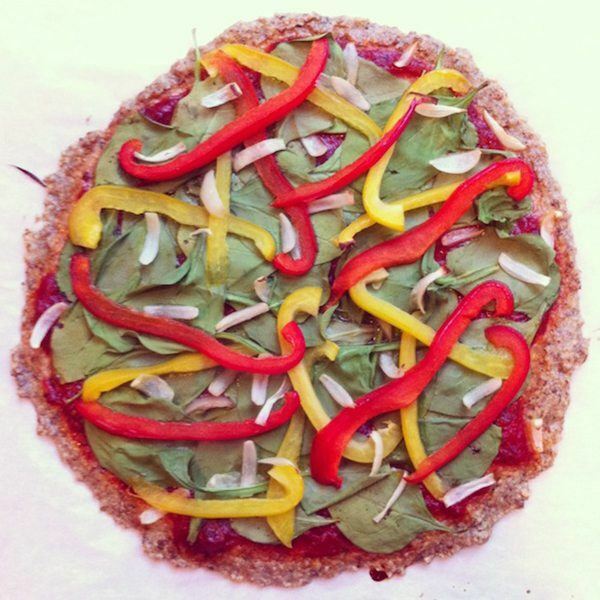 After pre-baking the dough, which houses a gluten-free all-purpose baking mix and some cornstarch, you sprinkle your herb-infused quinoa over the crust and then pile on your toppings. Of course, the results are heavenly. The grilling of this oat- and potato-flour dough produces a lightly-charred crust that can’t be beat. That being said, the real key to this recipe’s popularity is the flavor, which combines oregano, basil, red pepper flakes and garlic as well as everyone’s favorite duo: salt and black pepper. Just remember to look for gluten-free oat flour to avoid problems with cross contamination and then you’ll be good to go. 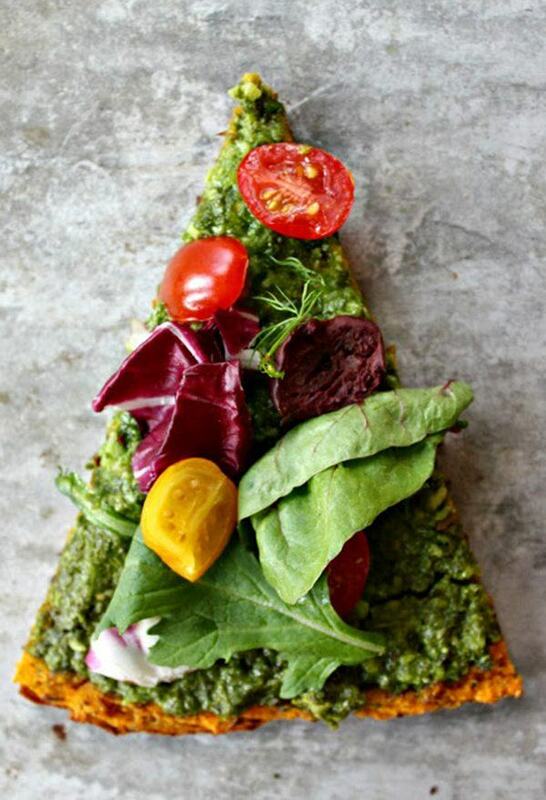 With an expert combination of gluten-free flours and with mozzarella cheese packed right into the crust, cardiologist and wheat-free advocate Dr. William Davis has recreated the pizzazz of a traditional pizza in a health-friendly way. If you don’t already stock your kitchen with coconut flour, almond meal and ground flaxseed, you may want to start. 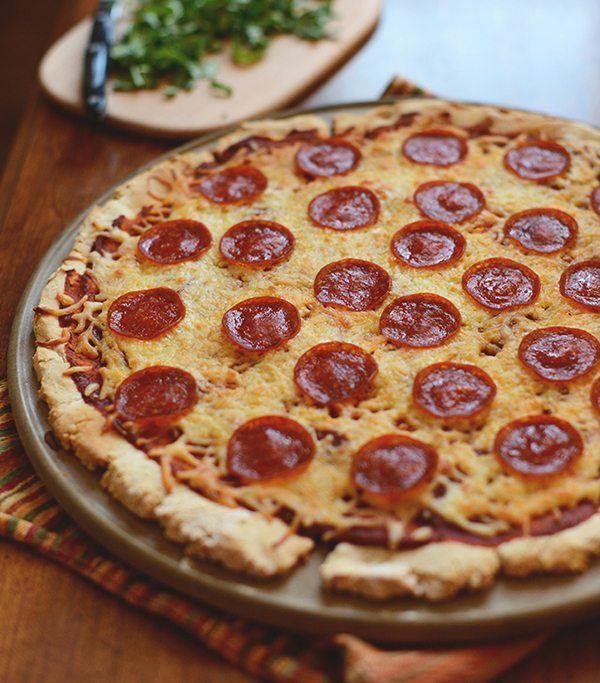 When Kate Chan of GlutenFreeGobsmacked.com turned her Brazilian cheese bread recipe into pizza crust, the world became a better place. 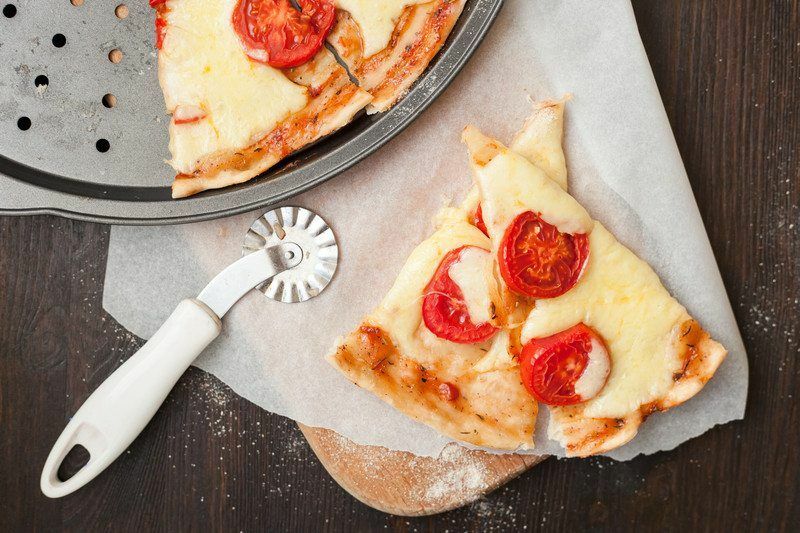 At the bottom of her post, she provides pizza-specific directions on how to turn tapioca flour and an Italian blend of shredded cheese into a taste of paradise. Calling for Parmesan cheese, a couple of eggs and some flax meal, this three-ingredient recipe is fantastic for when you want to stick to your diet but still feel like you’re getting to splurge. 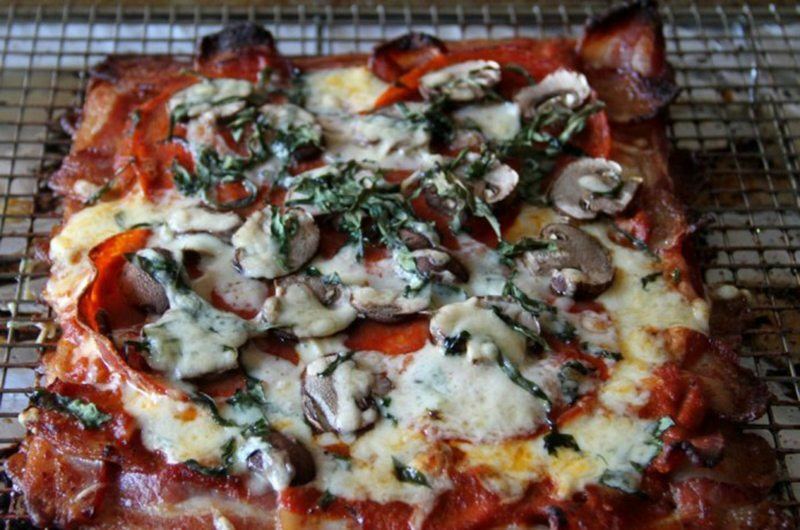 Plus, this hassle-free dough doesn’t have to rise or be rolled out, which means opting for this crust can help you save time in addition to minimizing your carbohydrates. 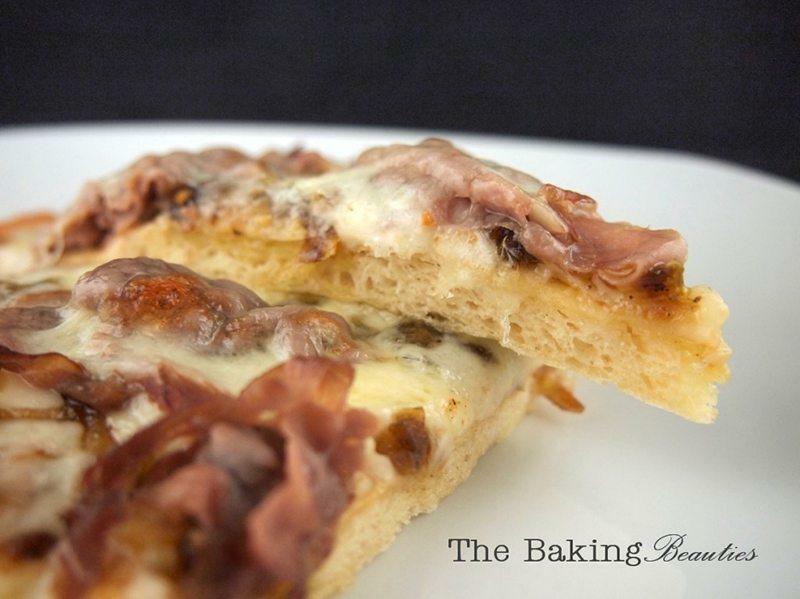 This indulgent recipe is for keto eaters who want their cheesy crusts extra cheesy. 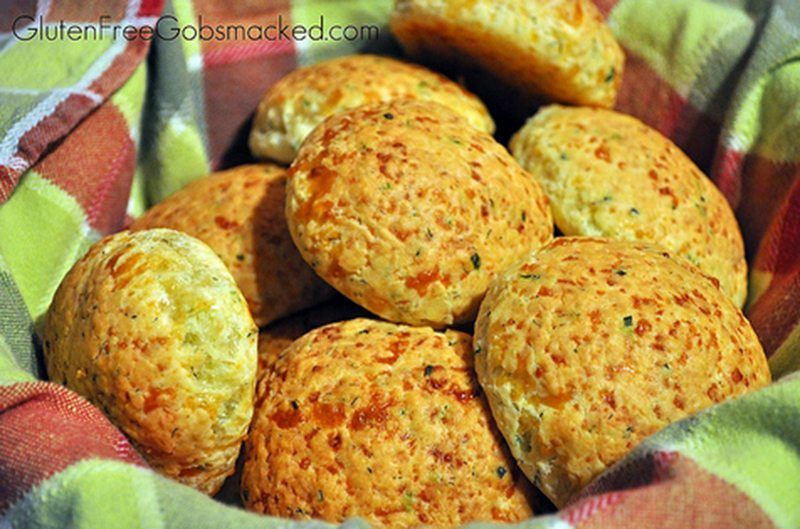 With shredded cheese, cream cheese and some almond meal, you get a crispy base that tastes amazing and reheats well. Needless to say, if there’s nothing left over for a second meal because the dish turned out to be too irresistible, we totally understand. 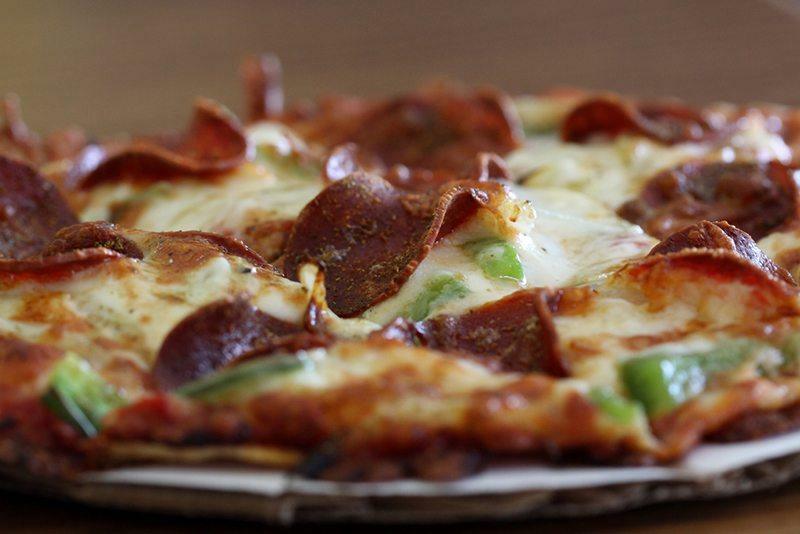 For a bendable crust you can fold in your hand, give this dough a try. The combo of potato starch, brown rice flour and tapioca starch provides a balanced base that’s both flavorful and strong. In other words, it’s fair game to pile your toppings a mile high when you’re dealing with this recipe. 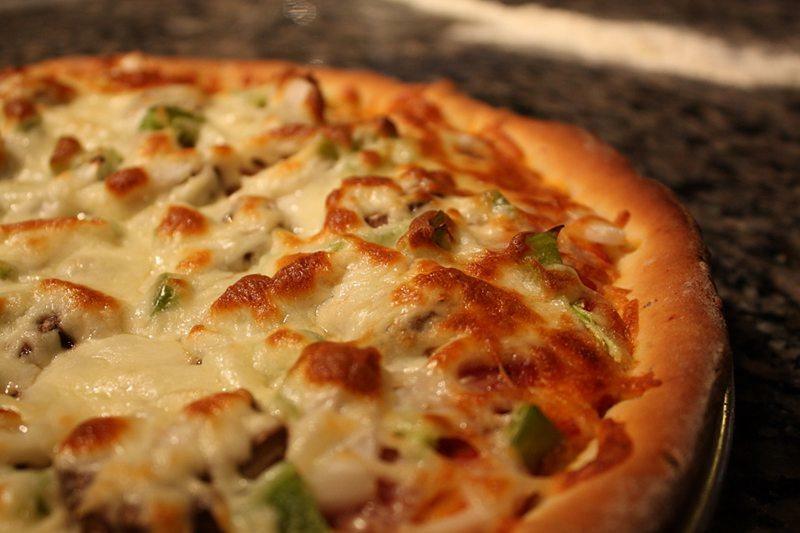 If you want a crispy-chewy crust inspired by the Big Apple, this recipe is for you. Featuring a flawless combination of ingredients including almond flour, tapioca starch and honey, this is one grain-free dough that actually rises. Naturally, your taste buds will love the flavor and texture of this hearty and heart-healthy dish. Containing a blend of white rice flour, brown rice flour and tapioca flour, this yeast-driven dough boasts an ideal chew. As an added bonus, all you need is about an hour to go from raw ingredients to a table-ready pie, which is impressive for a quality crust. What are you waiting for? Utilizing a homemade tapioca-and-water gel in place of xanthan gum, this tangy crust contains Greek yogurt and a sorghum flour blend you can replicate on your own without purchasing any high-priced mixes. The resulting consistency is phenomenal, but you may have a hard time sharing with the rest of your dinner party. Putting a variety of whole grains to work, this nutrient-dense recipe calls for gluten-free oat flour, millet flour and brown rice flour as well as ground chia seeds and tapioca flour. 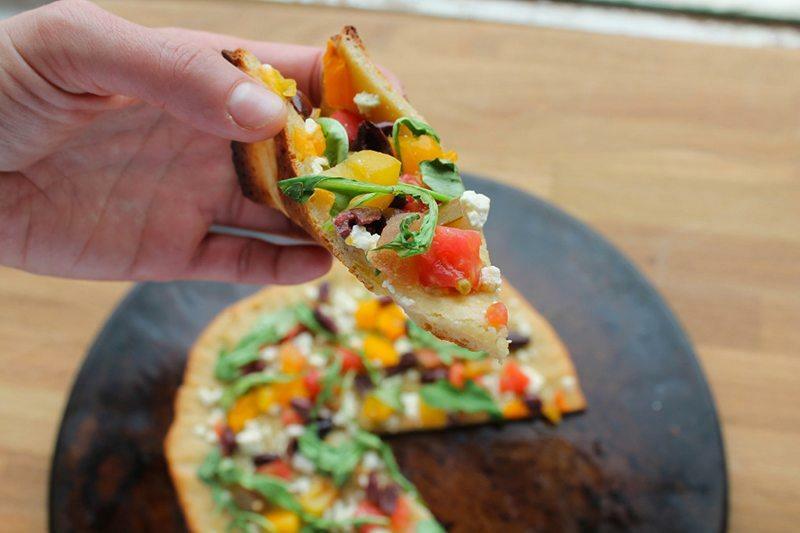 The carefully-crafted union of ingredients creates a crispy crust that’s thin yet sturdy enough to hold all of your favorite pizza toppings. 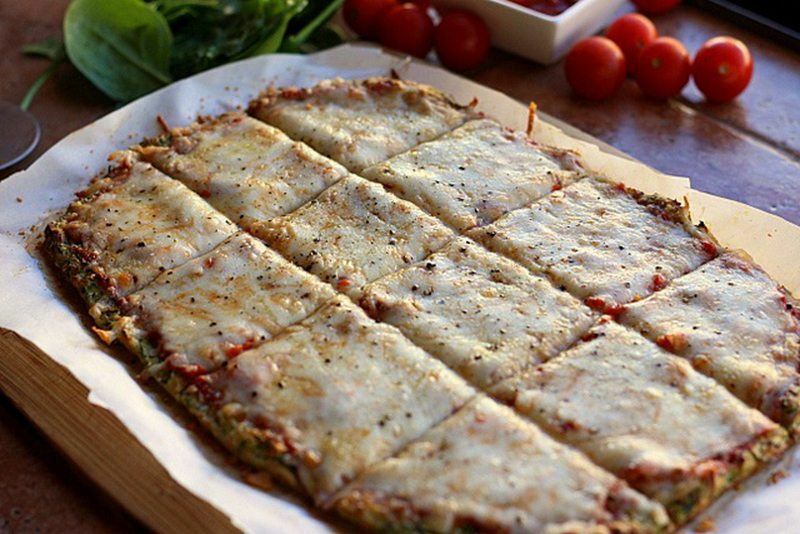 If you like your crusts extra thin, this grain-free and dairy-free recipe is a great one to bookmark. The dough contains tapioca flour along with a hint of almond flour, which results in a pliable batter. To optimize the crunch factor, Kelly recommends you keep rolling until the crust is nearly one-fourth of an inch. 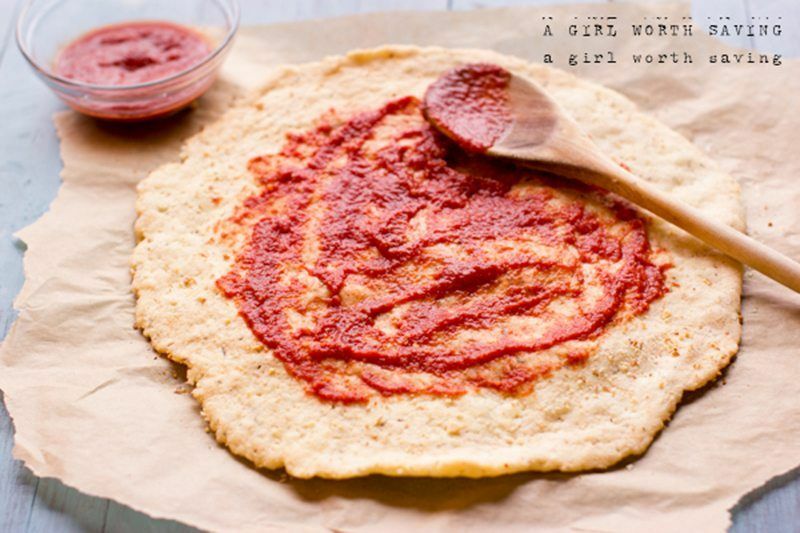 For the taste of her pizzas to be fab and the texture to be tender, the Gluten-Free Goddess incorporates a handful of different wheat-free flours: tapioca starch, sorghum flour, potato starch, brown rice flour and millet flour. If you like really thin pies, Karina recommends dividing the dough into three separate crusts so every bite is scrumptious. Made from almond meal, this flatbread-like recipe is a kitchen favorite with those who steer clear of grains and thick crusts. The nutrient-rich dough provides a healthy way for you to get into party mode, but we’re not judging either way. What happens on pizza night is your little secret. Featuring superfine rice flour and a little potato starch, this crunchy crust deserves a prominent place in your folder of recipes. The taste will remind you of your gluten-consuming days and, once again, all will feel right in the world–at least until you count up the calories of all your toppings. For this recipe, you measure out your favorite homemade or store-bought blend of all-purpose gluten-free flour in conjunction with yeast, xanthan gum and coarsely-ground cornmeal in order to create the perfect foundation for an Illinois-inspired pie. 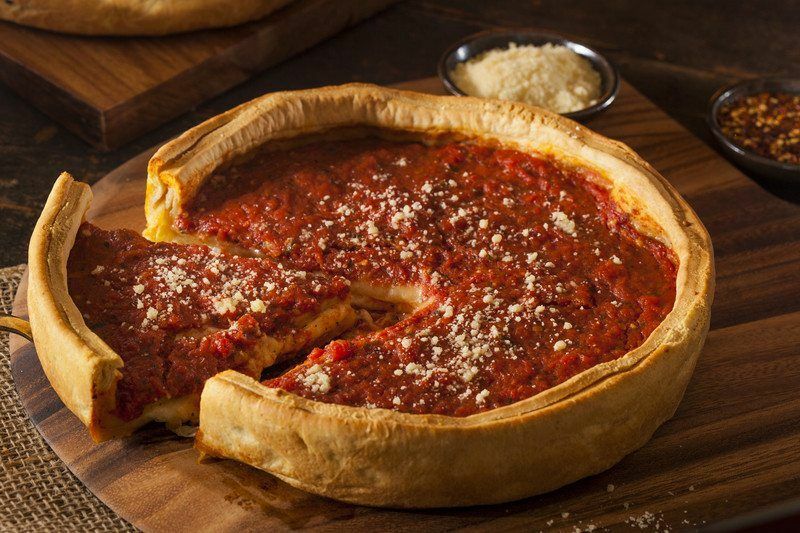 Remember, you can use a springform or round-cake pan if you don’t have access to deep-dish bakeware that’s specifically for pizza. The cornmeal and gluten-free Bisquick in this recipe act as all-star ingredients to deliver the crispy-yet-gooey crust of a deep-dish pie. 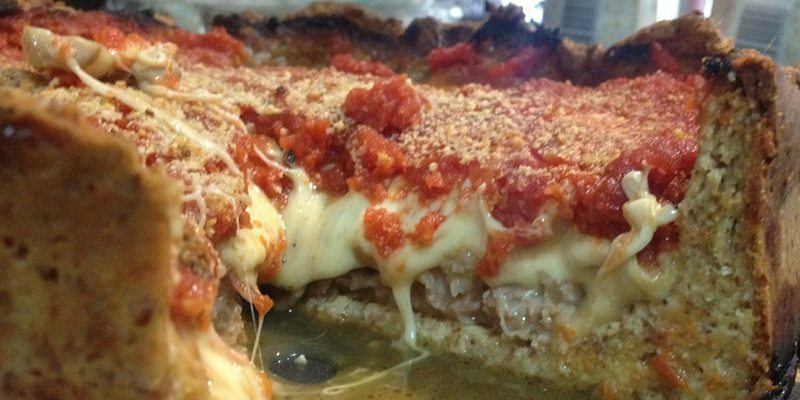 If you haven’t tasted Chicago-style dough since saying goodbye to wheat, do yourself the favor of baking this kind of pizza immediately. The thick edges and thin middle are too enticing to ignore. 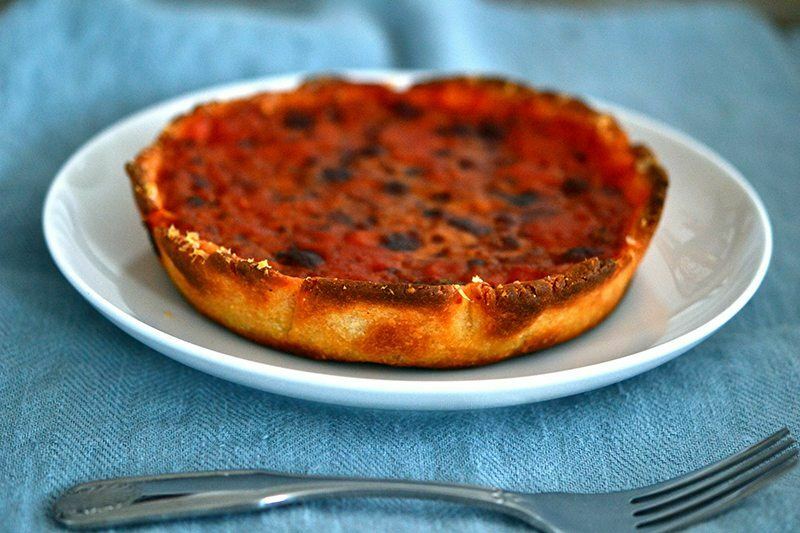 If you want a deep-dish crust that’s free of grains, you'll love this post where coconut flour, ground flaxseed and blanched almond flour are put to use. 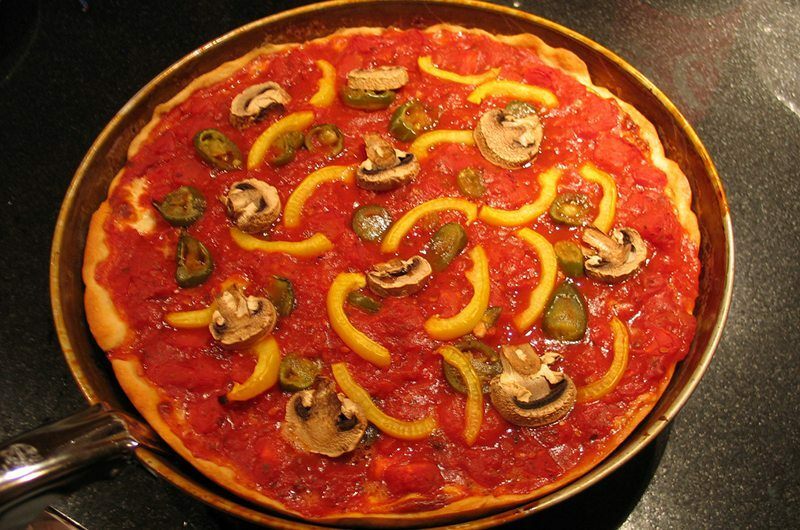 The resulting dough is easy to spread and, after it’s baked, has a fluffy characteristic reminiscent of the pies sold at Uno's Pizzeria. Mixing melted shredded cheese with eggs and almond meal is a keto-friendly method for getting in on the deep-dish craze. Whether you load your crust up with healthful veggies or tantalizing meats, you may want to keep a fork on hand since the thick pie is bound to get a little messy. 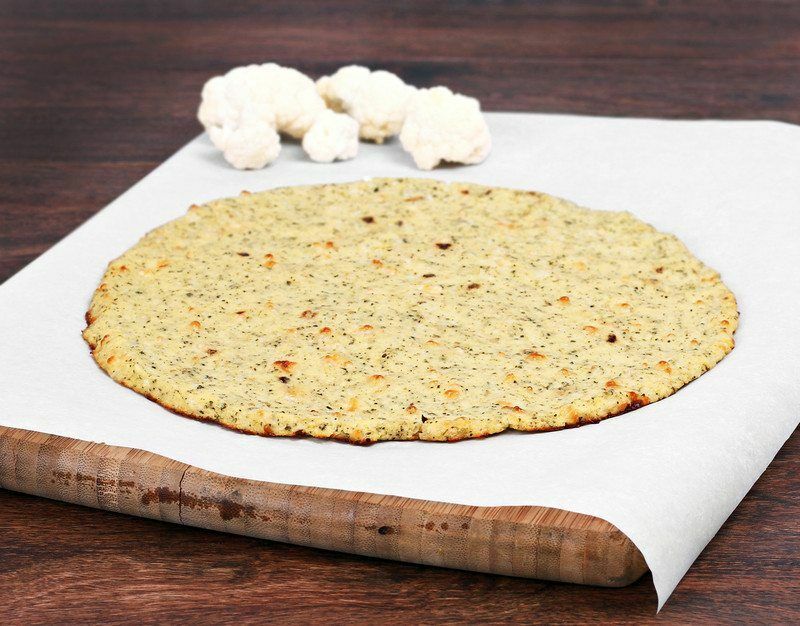 Making use of cauliflower, almond meal and an array of spices, this dairy-free option is a guilt-free way to enjoy the yumminess of pizza. 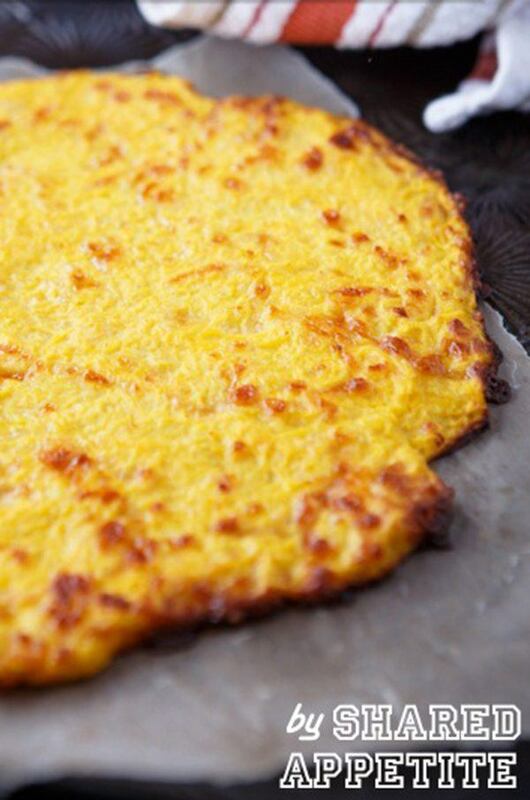 As long as you do a good job of squeezing out the excess water in your food-processed cauliflower florets, you can produce a golden-brown crust that has the texture you crave at a fraction of the calories. Since you can use salt to draw water out of grated zucchini before you combine the ingredients for your crust, this green summer squash is convenient to bake with. Of course, nut-free eaters will also be delighted by the fact that this recipe calls for brown rice flour instead of almond meal, which is often found in vegetable-based crusts. With garbanzo flour and your choice between almond flour or cornmeal, you can turn mashed butternut squash into a delectable pizza crust. 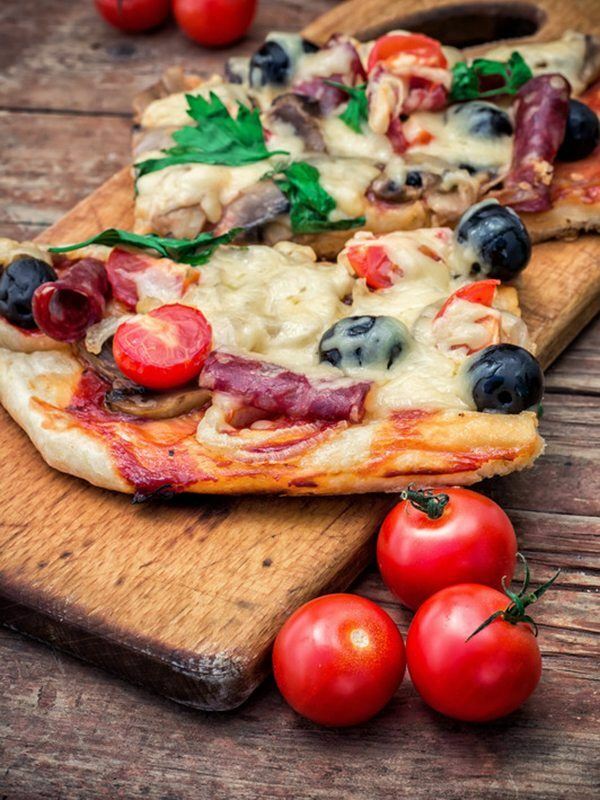 Unfortunately, since the gluten-free base isn't all that durable, you may want to go light on the toppings or plan on using a fork and knife to devour your dish. 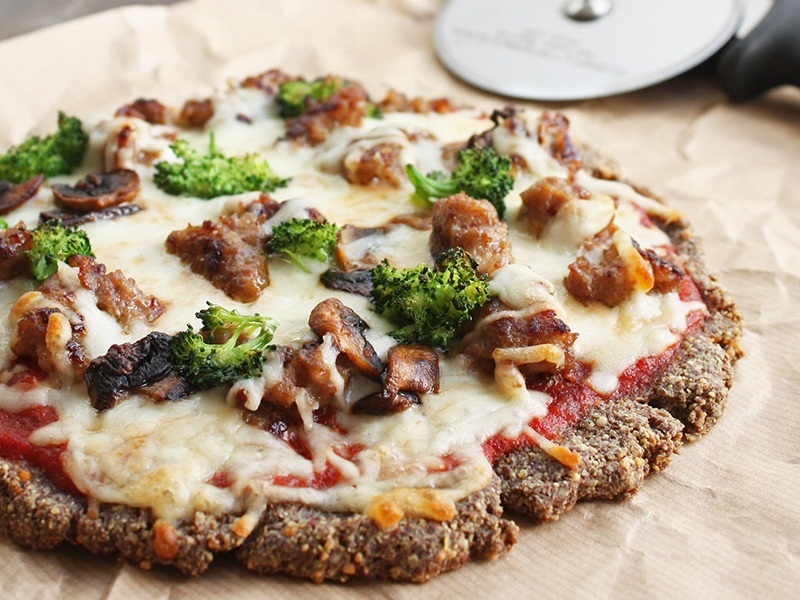 With a base of grated eggplant, flaxseed meal and almond meal, this thin crust embodies the spirit of Italian pizza while also enabling those with primal diets to eat up. 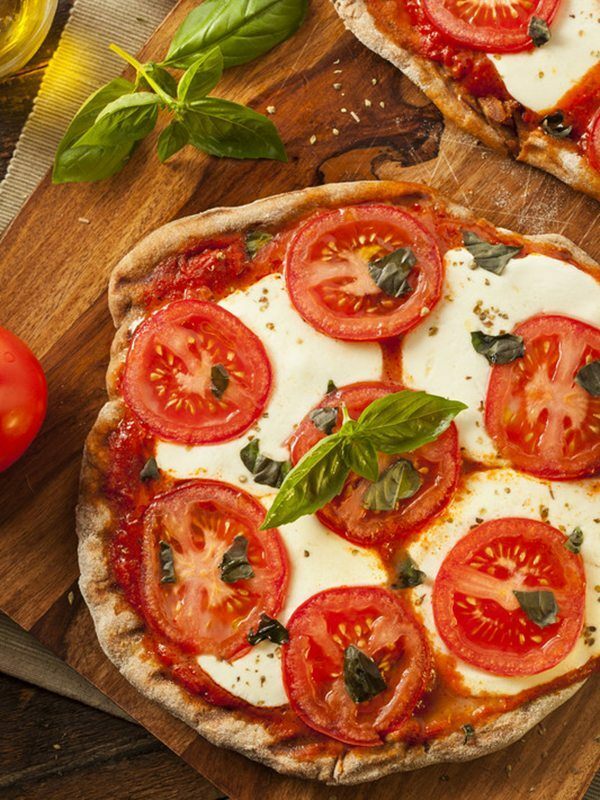 In addition to toppings like prosciutto and Roma tomato slices, don’t forget to sprinkle on traditional spices such as basil and oregano if you’re longing for a flavorful meal. If you don’t have problems with eating cheese, combine mozzarella and Parmesan with strands of spaghetti squash for an unforgettably appetizing experience. 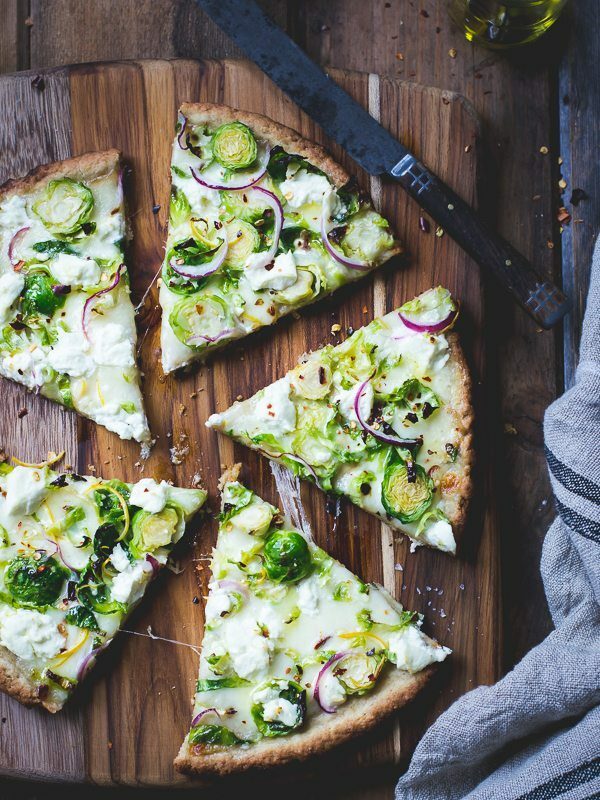 This gluten-free, nut-free and vegetarian-friendly alternative will satisfy your pizza cravings without causing you to snitch on the foods you’re trying to avoid. That certainly sounds like a win-win situation to us. 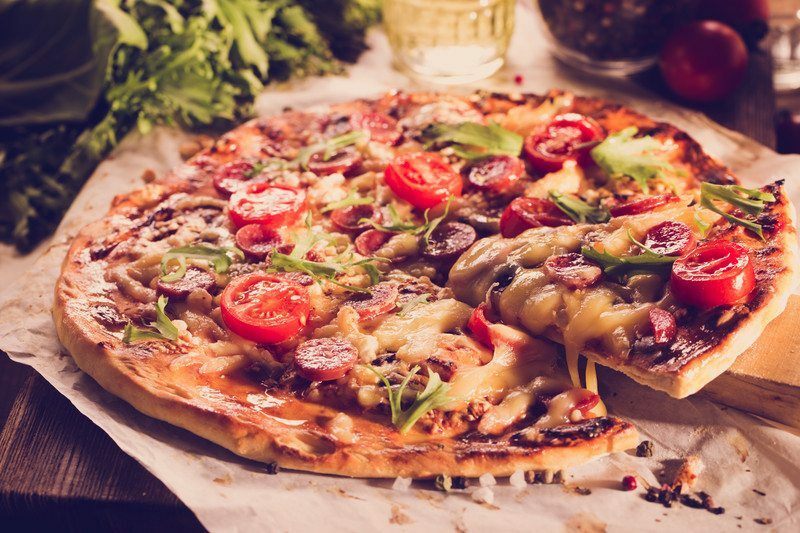 Whether you love carnivorous dishes based on taste or dietary goals, it’s hard to go wrong with a meatza, the affectionate term for a meat-packed pizza. This particular recipe combines ground beef and Italian sausage to create a drool-worthy crust that can be topped like a traditional pie. Espousing a delicious flavor profile, a palatable texture and a picture-perfect appearance, this chicken-and-mozzarella crust is an Atkins-friendly pick that’s sure to please a crowd. 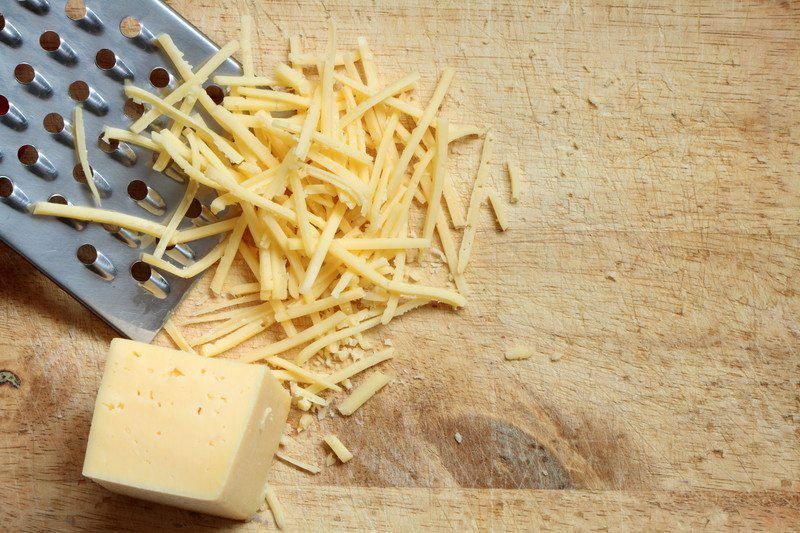 Although the cheese acts as a binding agent, dairy-free eaters can use an egg and some flaxseed meal instead for similarly tasty results. 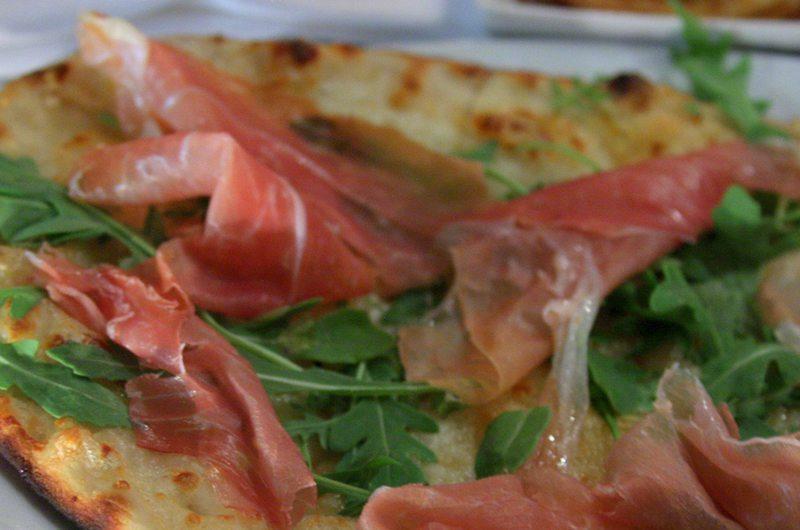 The first person to ever layer pizza toppings on bacon latticework is obviously a genius. No matter what kind of tasty ingredients you pile on top of your pork crust, the end result is sure to be mouthwatering as long as you carefully keep an eye on your pie while it’s baking. 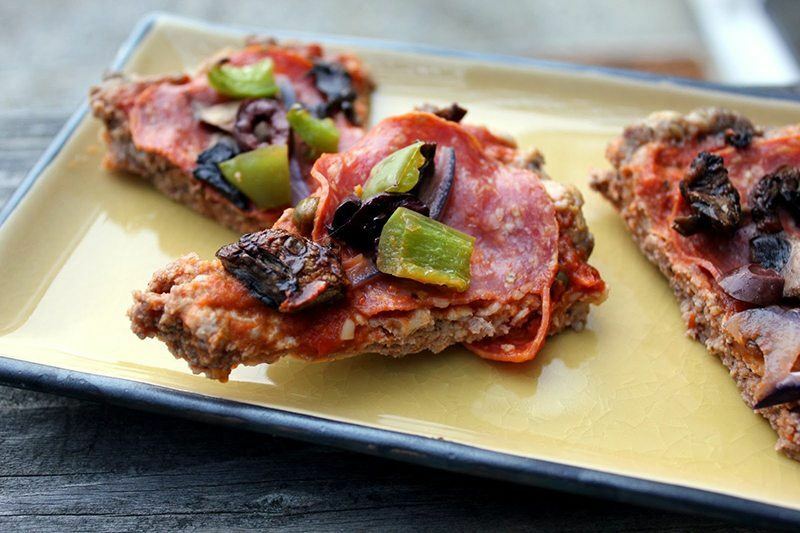 Since bison is one of the leanest meats around, mixing a pound of it with your favorite seasonings is a protein-packed way to keep pizza in your paleo diet. With such a hearty crust, you can even top your pie with an assortment of fresh vegetables and still get family-friendly results.